"Aphid Manure Heist" is actually a cover of a country song from the '70s named "Amanda." A singer named Don Williams had a fairly successful version in 1973, but then the legendary Waylon Jennings recorded it as an album cut in 1974. It, however, became a hit single in 1979 as part of his greatest hits album. I'm not sure who the singer is on this song. 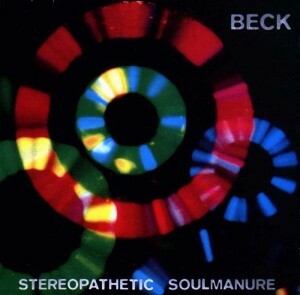 Maybe it's Beck sped up? The music seems to be some generic karoake sounds too, I wonder where it came from. I also have no idea what "Aphid Manure Heist" could possibly mean or refer. I assume it's just a random surreal phrase used as a title. Also Beck used a snippet of this recording on one of the versions of Don't Get Bent Out Of Shape. Where is the classical music from? What is it called? Other Waylon Jenning covers = "Good Hearted Woman" and "Good Ol' Boys."